Here are some cuttings from newspapers, magazines and other sources that didn't make it into the finished book. Please note that some of these cuttings were rejected by the publishers because their quality was considered to be unsuitable for publication. All photographs used in the book have been digitally cleaned and most are as good as new; many of the photographs presented in this section of the Pennies by the Sea website have not been 'cleaned' and are therefore seen in their raw format. 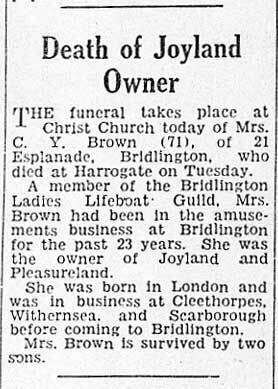 The death of Charlotte Brown announced in the Bridlington Free Press, 20 December 1957. 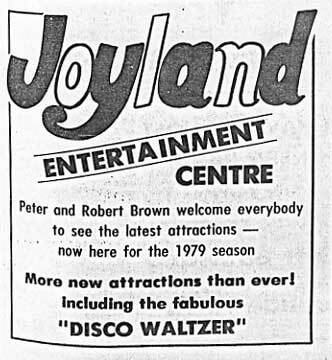 Advert for Joyland in the Bridlington Free Press, 31 May 1979. 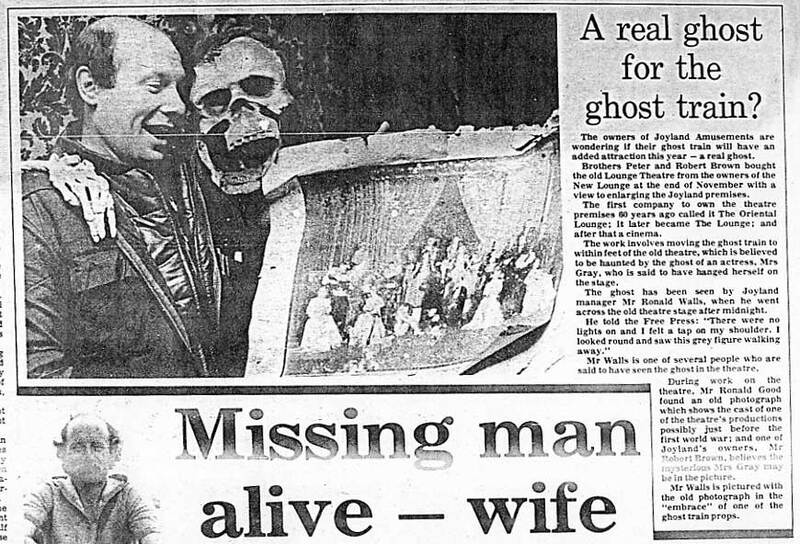 Cutting from the Bridlington Free Press dated 18 October 1979. 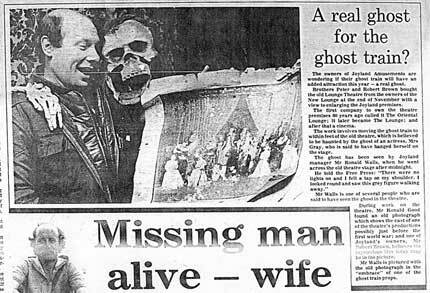 A real ghost for the ghost train? 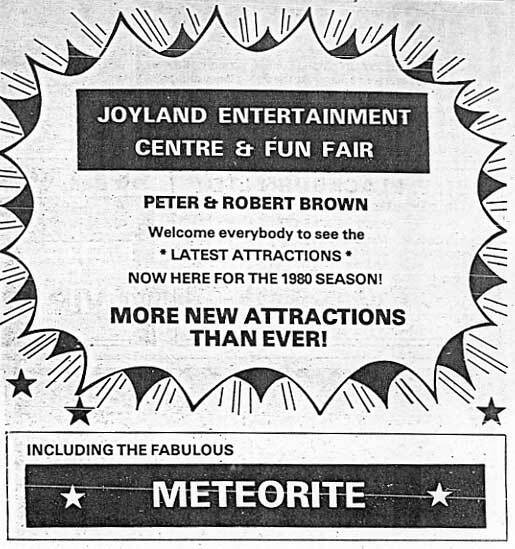 Joyland makes the front page of the Bridlington Free Press on 31 January 1980. Click on the image for a larger version. Advert for the 1980 season in the Bridlington Free Press, 22 May 1980. Click on the image for a larger version. 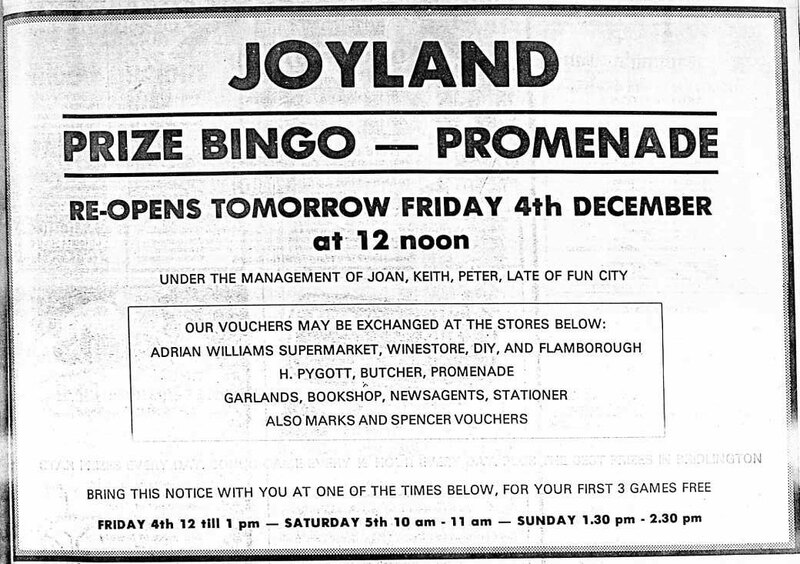 On 4th December 1981, the bingo at the Promenade end of Joyland reopened under the new management of concessionaires "Joan, Keith and Peter", formerly of Fun City on the north side of the town. 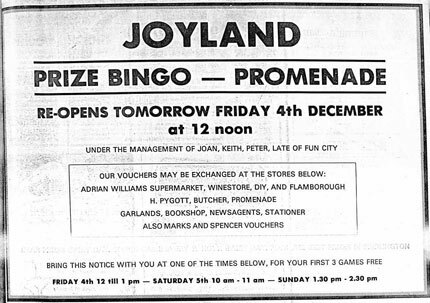 This voucher printed in the Free Press allowed customers to have their first three games free. Click on the image for a larger version. The 1982 announcement that Joyland had been sold by the Brown family to J Noble & Sons Ltd. Click on the image for a larger version.